Home > Fun Stuff > Inaugural Adirondack Wine & Food Festival Coming To Lake George! 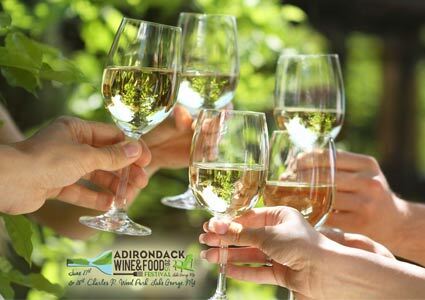 Inaugural Adirondack Wine & Food Festival Coming To Lake George! There are many things that make the Lake George Area unique, from the towering mountains to the abundance of year-round activities, but one thing has always stood out in my mind – the locally produced Craft Beverages and foods the region has to offer. Whether you’re a visitor or a local, you can appreciate the region’s spectacular wineries, breweries, distilleries, specialty food vendors, and food trucks that bring a distinctly “Adirondack” feel to their products. In celebration of these treasures, and with the beauty of Lake George as the backdrop, the much-anticipated 1st Annual Adirondack Wine & Food Festival will be held on June 27 & 28 at the Festival Space at Charles R. Wood Park! 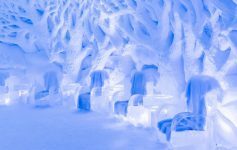 The Festival is the product of months of planning by Adirondack Festivals LLC, operated by Lake George’s own Adirondack Winery. For years, Adirondack Winery has attended more than 30 annual wine festivals all across New York State, and owners Sasha and Mike Pardy decided it was time to bring an event like this to Lake George. In fact, the Adirondack Wine & Food Festival will be the first event of its kind in Warren County! More than 3,000 people are expected to attend the inaugural Festival, and the list of participating vendors is growing every day. Imagine being able to try wines from Victory View Vineyards, beers from Adirondack Brewery, spirits from Springbrook Hollow, and gourmet food from Hidden Hollow Maple Farm all in one location! Included with the price of admission is a commemorative glass you can use to taste anything that catches your eye, and if you find something you love, each vendor will have their products available for you to purchase. Tickets are on sale now and can be purchased on the Adirondack Wine & Food Festival’s website. An Advance Tasting Ticket discount is currently available for early birds! Designated Driver tickets may also be purchased for those who would like to attend the Festival without partaking in the beverage sampling. A portion of the ticket sales from the Festival will benefit the SUNY Adirondack Foundation, and students of the school’s Culinary Arts program will be on hand at the Festival showing off their skills with unique cooking demonstrations, as well as raising money by selling the delicious food they prepare. 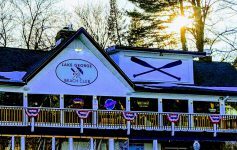 This event has been made possible by support from Adirondack Winery, the Warren County Tourism Department, Mayor Blais & the Village of Lake George, the Town of Lake George, and a long list of local businesses. 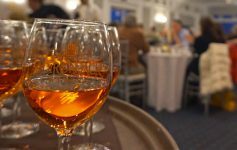 The Adirondack Wine & Food Festival will be an annual, long-standing staple summer event in Lake George Village that both locals and visitors will look forward to attending year after year. It is anticipated that the Festival will continue to grow each year, so mark your calendars, buy your tickets today, and get ready for the 1st Annual Adirondack Wine & Food Festival!